French President Francois Hollande has promised to limit the growth of the country’s nuclear power, many older reactors have been targeted for decommissioning, and Greenpeace and other environmental groups have been relentless in their anti-nuclear campaigning. But until now, it seemed unlikely that France would ever truly rethink its love affair with nuclear power. Last week, it did. On Oct. 10, France’s parliament voted to begin moving to undo decades of nuclear growth and to reduce its importance to the country’s energy mix. Over the next 11 years, France will reduce the amount of electricity coming from nuclear by one-quarter -- from 75 percent to 50 percent. To do that, estimates are that as many as 20 of France’s 58 reactors would have to be closed. The vote was part of a package of legal reforms in France’s long-awaited energy transition law, a main pillar of which was slowing nuclear power production and then maintaining it at the new lower level before progressively lowering it over the next 10 years. Related: Is Fusion Power Closer Than We Thought? 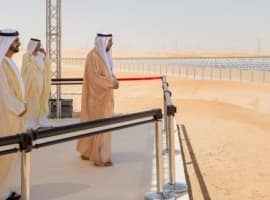 The second pillar was removing bureaucratic hurdles that prevented renewable energy projects from getting off the ground. 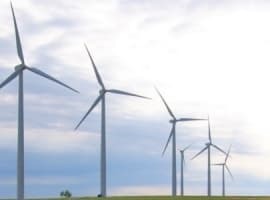 A trial period will see wind, solar, bio-gas and small hydro projects receive streamlined authorization in seven French regions. A comparison of the contribution of renewables versus nuclear in France’s energy mix shows the massive disparity that the government is seeking to address. In June, France had 8,592MW of onshore wind installations and 5,095MW of PV, translating to 3.8 percent and 1 percent of the country’s energy needs. This compares to 63.2GWe of nuclear capacity. The energy transition law aims to erase this imbalance. At 50 percent of national energy production, nuclear will remain the biggest source, but will be supported by a boosted renewables sector, with wind and solar levels similar to Germany’s. At a time when his approval ratings are plumbing new depths, it is no surprise that Hollande is moving forcefully on one of his big campaign promises. It is also a chance to get his former coalition partners, Europe-Ecologie Les Verts (EELV), back on side. EELV quit the government earlier this year after it refused to be part of the cabinet led by business-friendly Prime Minister Manuel Valls. A compromise on the new law saw the environmental party support Hollande, lending him a much-needed political victory. However, all is not smooth sailing. Some have sought to cast doubt on parliament’s vote by saying that Hollande was essentially caving to the environmental lobby. In March, around 60 Greenpeace protesters managed to spectacularly infiltrate Fessenheim in northeastern France, the country’s oldest nuclear power plant, which is set to be decommissioned in 2016. The activists deployed a huge banner on one of Fessenheim’s reactors, reading “Stop Risking Europe”, in support of their argument that France’s aging nuclear installations put all of Europe at risk, much like Chernobyl. EELV backed the protest at the time, widening a rift with Hollande’s Socialist Party that the energy transition law hopes to close. In another indication that Hollande is serious about changing France’s reputation as the home of nuclear, he booted Henri Proglio, the CEO of French power company EDF. Proglio was seeking to renew his mandate but his openly pro-nuclear stance put him at odds with the president. Where Hollande insisted that reactors would have to be shut to reduce France’s dependence on it, Proglio insisted that it would be better to simply raise the contributions made by other sources. He has been replaced by outgoing Thales CEO, Jean-Bernard Levy, in a move government spokesperson Stéphane Le Foll called “a new phase for energy policy and EDF”. But to be clear, France is a long way from abandoning nuclear power. At a time when job creation is stagnating, the nuclear industry employs more than 400,000 people. 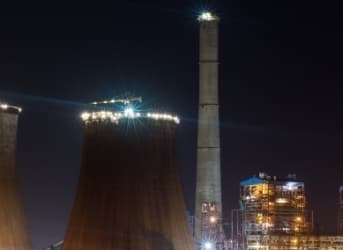 The investments made to refurbish older plants, to install new security measures and to handle security waste would be more than paid for by the long-term energy savings nuclear provides. Finally, nuclear power has allowed France to export around 70 billion kWh a year to neighboring European countries. Despite these advantages, the pressure is on. Germany, Belgium and Switzerland are all abandoning nuclear power. Flagship nuclear firm Areva, which builds nuclear plants around the world, is not the profit-making juggernaut it once was. Nuclear is no longer as cost-competitive as it used to be compared to natural gas, wind and PV. Hollande is not putting the final nail in the coffin of France’s nuclear energy program, but he may be asking the undertaker for a quote. 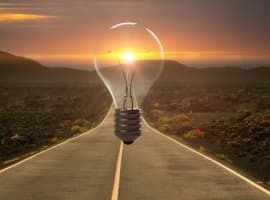 An informative article, however, Chris Dalby makes the common but elementary mistake of confusing energy with electricity. Note that electricity is a form of energy, i.e. within the subset of energy but not directly interchangeable with 'energy'. So it is incorrect to state that "At 50 percent of national ENERGY production,...( nuclear will remain the biggest source, but will be supported by a boosted renewables sector, with wind and solar levels similar to Germany’s.)" -when he means electricity. Nuclear does not produce 75% currently of France's energy, but 75% of its electricity, and in the future it will not produce 50% of its energy, but of its electricity. Typically, developed countries use of electricity comprises about 20-30% of their total energy, which also includes motor and aviation fuel, gas for heat and so on. There are also quite big losses of energy in conversion from fossil fuels, or nuclear heat to electricity, typically 66%, so care needs to be exercised with such concepts and terms, in order to avoid misleading statements.